Only ten minutes from Malibu and 12 minutes to the Pacific Ocean, homes in Old Agoura are nestled in a country setting surrounded by acres of land which separates Agoura Hills from nearbyCalabasas. 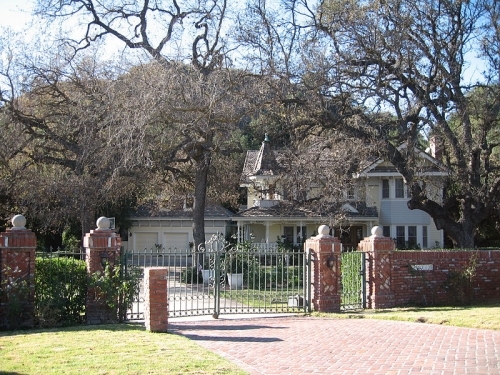 Old Agoura is an eclectic mix of luxurious estates and ranch style homes. A maze of horse trails connects to Old Agoura Park which is centrally located and essentially the “city center” of the town. Old Agoura, while still in suburbia has a hidden away, rural feel to it, even though you are still only a short commute to Los Angeles. Those who love outdoor recreation are drawn to Old Agoura for the miles and miles of trails through the Santa Monica Mountains Conservancy. Residents have direct access to some of the best hiking and biking trails that the Los Angeles area has to offer, in addition to public equestrian facilities and horse trails that line many streets in the community. Old Agoura is a prime example that one can have a rural countryside home, while still enjoying the conveniences of suburbia. California’s Las Virgenes Unified School District contains two schools that received gold, silver or bronze medals in U.S. News’s Best High Schools rankings. And, for families there are awesome shops, restaurants and Old Agoura Park which is famous for its rich history and amazing equestrian trails. For avid riders, the park offers an equestrian warm-up arena as well as trails that connect to Cheeseboro Canyon. The park even has a baseball field and a children’s play area so your whole family can enjoy outdoor recreation. From pee-wee yoga, fencing, Kindermusic, and senior socials, Agoura Hills makes every effort to offer its citizens a wide variety of affordable programs. That could be one reason why its crime rate is impressively low. Agoura Hills is surrounded by colleges and universities and also offers a unique program that honors its citizens who serve in the armed forces. One of the most exclusive communities in Southern California, Zillow lists the average home listing in Agoura Hills at just shy of $800,000 – for all the aforementioned perks as well as its close proximity to Los Angeles. If this neighborhood sounds like the perfect place to call home and you would like to view home listings in Old Agoura, please contact Lydia Gable today.